This product is brand new, nickel-plated brass-cased, boxer-primed, non-corrosive, and reloadable. I just ordered another five boxes from the only website I will ever use, especially with the upcoming background check system. 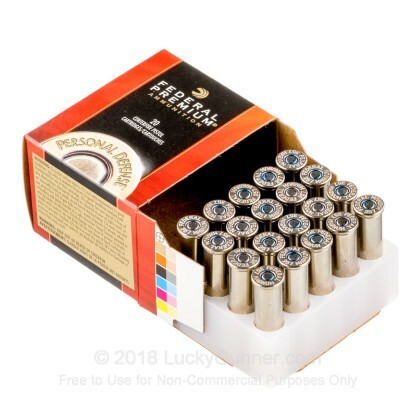 This round is the round I carry almost every single day, I have fired it into modeling clay and ballistics gel, simply put, it is the most devastating around I have ever tested by a long shot. 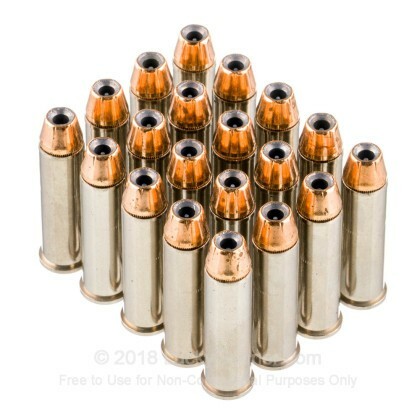 Also it uses small magnum primers, they are the only ammunition sold on the site that have magnum primers, with clean burning, extremely fine green powder that burns even in a 2 1/2 inch barrel. If you want to devastate, this is the round for you it will fire every time even if it if it is over five years old 10 years old doesn't matter. Let me tell you your attacker will not even whimper this is the devastator 158 grain it 1250 ft./s out of a 3 inch barrel is a one shot stop for sure. 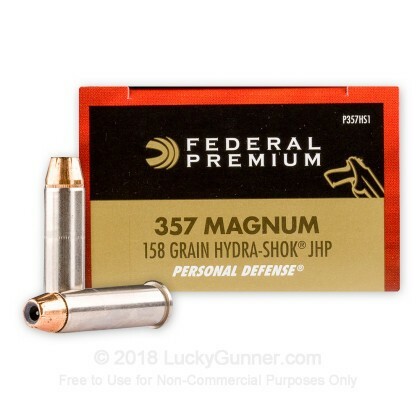 Federal hydra shock 158 grain 357 magnum is the round I trust with my life, the only other round I will use his Remington Golden Saber. Due to the jackets razor blade like qualities but even that is still the second-place to the hydra shock. 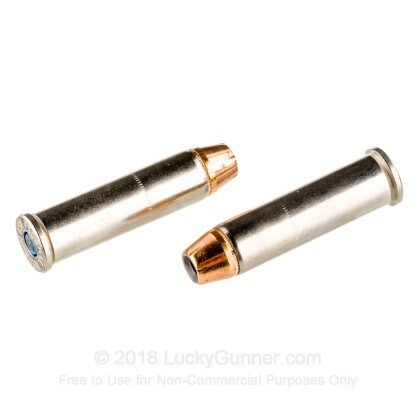 I want to thank LuckyGunner for their fantastic customer service they called me Monday morning after placing my order on Sunday to verify my address because I live in the mountains and we use PO Box I think this is extremely courteous and professional and I was impressed I will be ordering from LuckyGunner until guns and ammunition are made illegal! IT WOULD BE NICE TO BUY IT IN BULK AND SAVE SOME MONEY. VERY GOOD ROUND. I got a few boxes of this after seeing several ballistic gelatin videos on YouTube. Overall, the rounds pack a punch, and go to point of aim. They burn clean too. 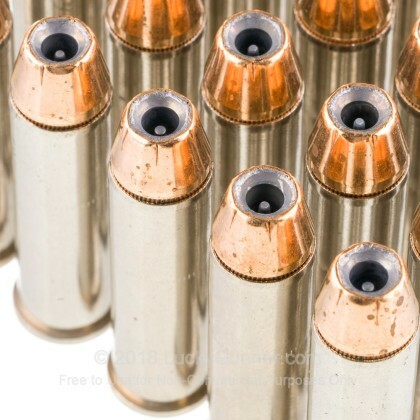 These are my go to carry ammo. 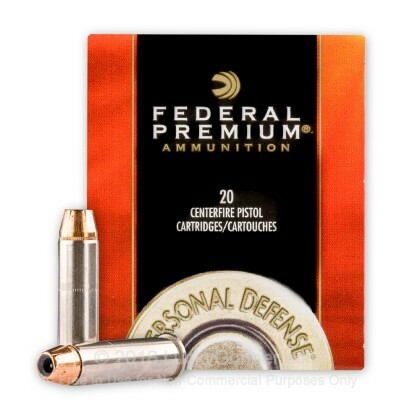 We also have this 357 Mag - 158 Grain JHP Hydra-Shok - Federal - 500 Rounds ammo in stock in a bigger quantity.